Great location and. Price. Would use again. And again. This hotel was very clean, the staff was courteous and helpful. Nice hotel in downtown with great views. Very clean and good restaurants. Beautiful place and convenient location. Hotel was packed with a lot of kids attending a conference and elevators were packed and took a long time to get on it, which is understandable. My advice would have been to have staff managing elevator flow during those days. 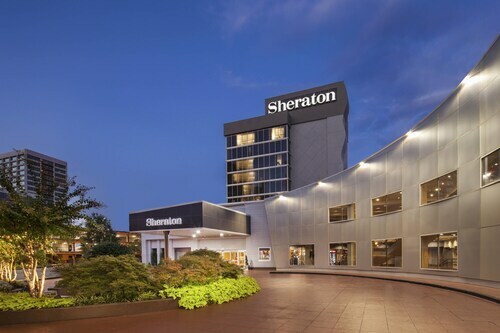 Located in the central business district, this luxury hotel is within 5 blocks of the Georgia Aquarium, the World of Coca-Cola, the College Football Hall of Fame, and just minutes from the Mercedes-Benz Stadium and Philips Arena. Property was fantastic! All staff were gracious and provided excellent service! Laschandra from the front desk checked on my satisfaction post check in. Bar / lounge staff were friendly with great customer service. Food was very good. Liked location & king suite worked out well with 2 rooms, large bathroom. Would have liked office chair at desk instead of banquet chair. Very nice hotel in great location. Short walking distance to stadium. Great restaurant on site. Will definitely stay here again. 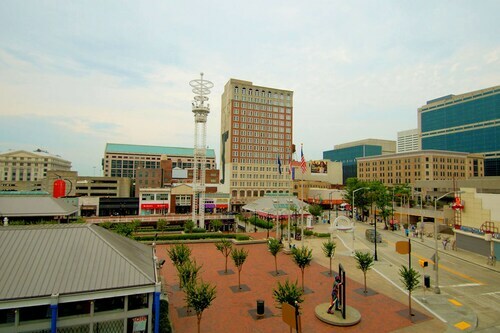 If you're the kind of person that has a never-ending curiosity, you'll be sure to love Underground Atlanta. 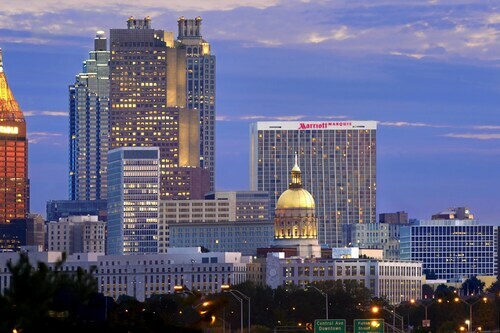 It's to be found in Atlanta, a state capital that's known for a wide range of memorable activities. If you're looking to find a room in the heart of the action, you'll have plenty of options to choose from. 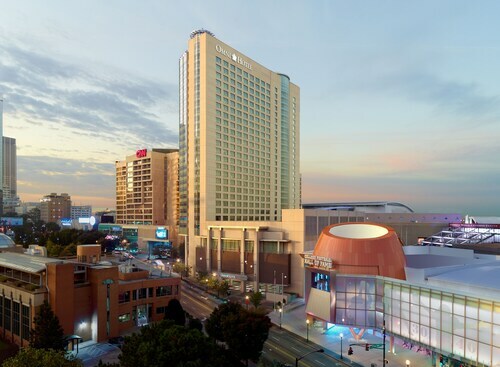 There are no less than 42 hotels and other accommodations in the immediate vicinity of Underground Atlanta. 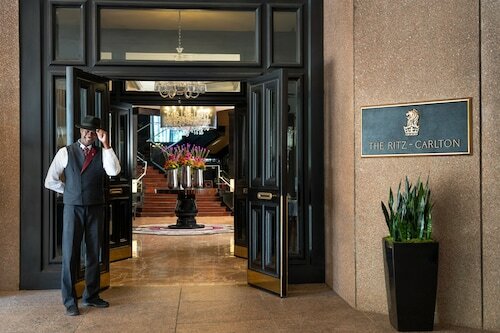 0.4 miles (0.6 kilometers) away, you'll find The Ritz-Carlton, Atlanta. 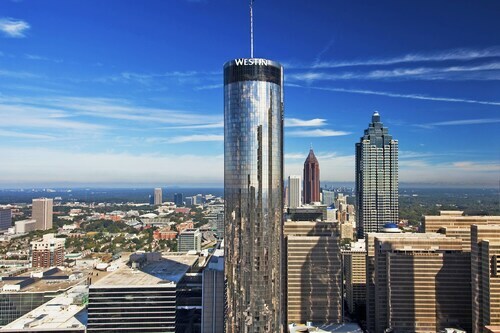 Some others you should consider are the W Atlanta Downtown, 0.8 miles (1.3 kilometers) away, and the Twelve Centennial Park, Autograph Collection, 0.9 miles (1.4 kilometers) away. The competition between bargain hotels means that there is always a hot deal to be had for the penny-pinching traveler. 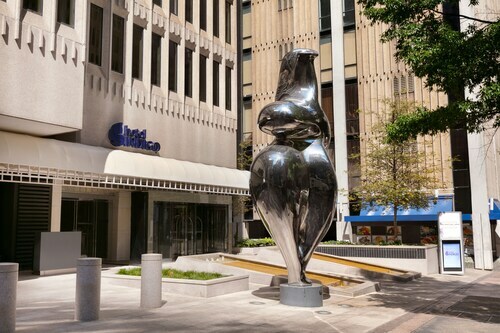 The Barclay Hotel Atlanta Downtown and the Motel 6 Atlanta Downtown are consistent favorites, only 0.3 miles (0.5 kilometers) and 0.8 miles (1.3 kilometers) away, respectively. Everybody deserves to be spoiled every so often, so why not book a night at one of the luxurious hotels? 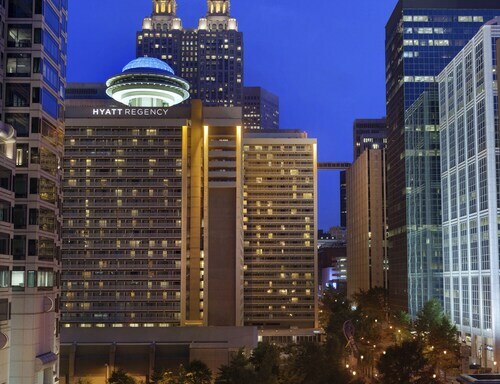 You can confirm a booking at the Atlanta Marriott Marquis or the Westin Peachtree Plaza, Atlanta, located just 0.7 miles (1.1 kilometer) and 0.5 miles (0.8 kilometers) away, respectively. Make yourself comfortable, give your legs a break and grab a bite to eat at Buenos Dias Cafe, a frequently visited coffee house a stone's throw from Underground Atlanta. Or, perhaps you could look for a free table near the window at Kempani Hawaiian Grill Undrgrn. It's nearby and renowned for keeping patrons satisfied with tasty meals. Finish a fun-filled day out by wandering down the road for a few drinks at Aroma Paradise Bar. The corridors of Olympia Building house some fascinating historic tales. Find out more about this preserved structure by arranging a tour. Visiting a skyscraper is an important urban experience, and William Oliver Building is no exception. Better acquaint yourself with the system of beliefs, religion and traditions of the area by organizing a tour of The Catholic Shrine of the Immaculate Conception. 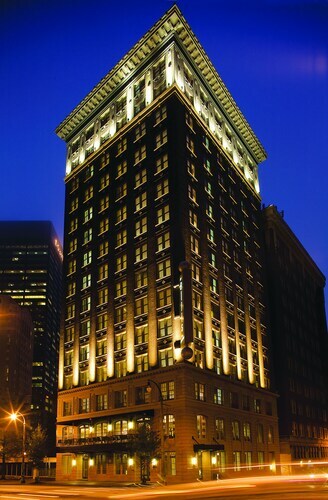 Venture back through time and enjoy a history lesson with a visit to Flat Iron Building. Take a break and go for a walk in Georgia Plaza Park, an idyllic urban sanctuary. Hop on the metro at the closest station, Marta Station, after you've seen Underground Atlanta. It's just 0.3 miles (0.5 kilometers) away. How Much is a Hotel Room in Underground Atlanta? 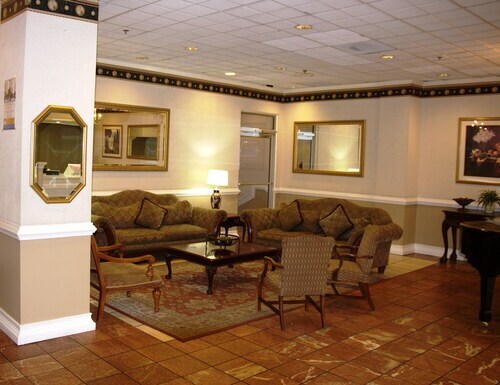 Hotels in Underground Atlanta start at $95 per night. Prices and availability subject to change. Additional terms may apply. The 4 C's "calvin's Condo 4 Comfort & 4 Convenience"